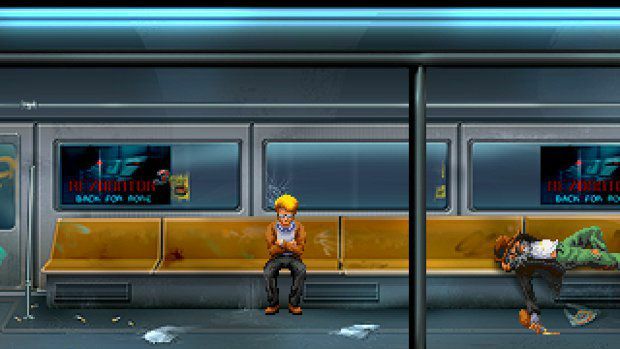 Resonance is a point-and-click adventure game released a couple of months back by Wadjet Eye Games, the makers of Gemini Rue. It’s a solid play for you point-and-click fans: the puzzles are solid (and occasionally frustrating, which, of course, is part of the experience), and the story is cool, with some nice twists and turns. My one complaint is that only a couple of characters feel truly fleshed out in any way, though that’s neither here nor there for the purposes of this post. There’s one twist in Resonance I caught onto just before the big reveal and the devastation that occurs afterward. Even though I caught it before it happened, I thought the twist was well executed; actually, the realization of the twist made me appreciate it all the more because the writers had manipulated the story in just the right way to give the twist the proper impact. Then just before I finished the game, I read an articled retweeted by mefloraine that made me appreciate the build to the twist on a different, more interesting level. I’ll link the article after the jump, because the nature of the anecdote shared in the article hints rather strongly at the thrust of the twist in Resonance. If you have any interest in playing the game and don’t want to be spoiled, then don’t read any further.